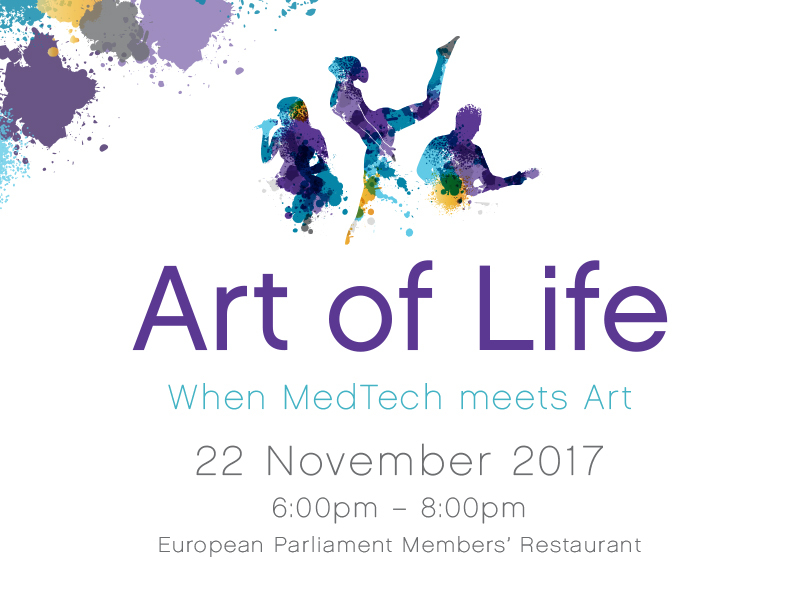 MedTech Europe, in partnership with EU40, welcomes you to an evening reception in the European Parliament on Wednesday 22 November 2017 from 6.00pm until 8.00pm. This event will be hosted by the honourable Members of the European Parliament, Brando Benifei (S&D, Italy) and Adam Kosa (EPP, Hungary). Innovation in the field of medical technologies is emerging at an astounding pace, in order to save and transform people's lives. We invite you to share an enjoyable evening of dance and music in the company of three artists with an unbreakable spirit. They have overcome their physical obstacles and pushed their limits with the support of medical technologies, in order to follow their passion for music and dance. These artists prove to themselves and the world that they can overcome anything. You will experience the wonders brought by medical innovation and will obtain a new perspective on art through the performances, with the musical support of the Brussels Philharmonic Soloists, of Johanna Paetzold, a singer from Germany, who thanks to a cochlear hearing implant can beautifully sing again, Mel Reis, a ballerina from Brazil, who thanks to a prosthetic leg can stunningly dance again and Keith Xander, lead singer and guitarist of Xander & the Peace Pirates from the United Kingdom, who thanks to a prosthetic hand can spectacularly play the guitar. Register and join us for this exceptional event!